September Thursdays are more popular than ever! 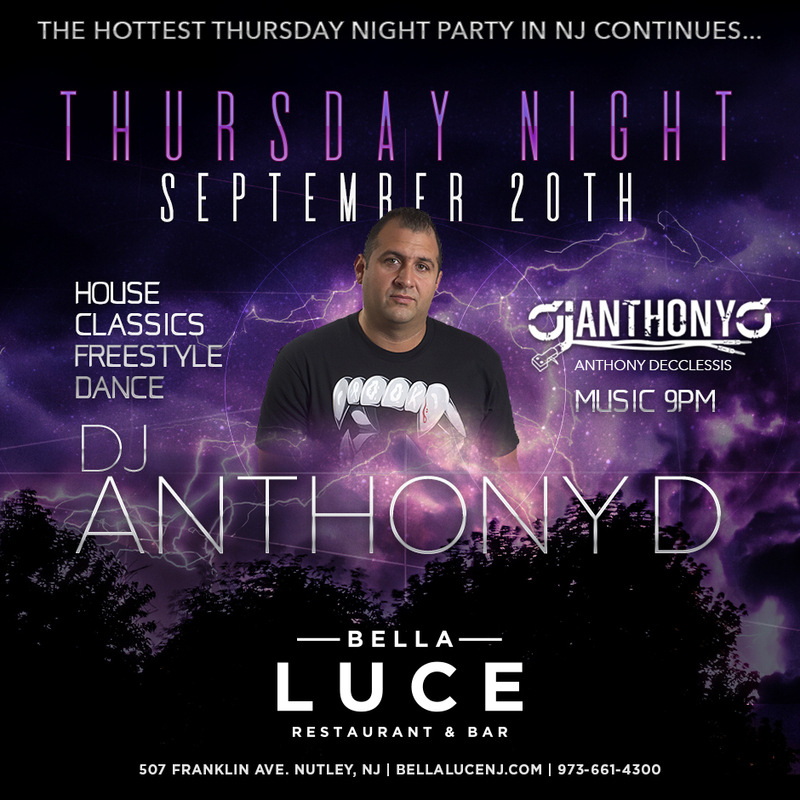 Don’t miss DJ Anthony Decclessis at Bella Luce as the hottest Thursday Night Party in Northern NJ continues. DJ AnthonyD will be spinning the best house, classics, dance, and freestyle tracks on Thursday, September 20th, 2018. Music starts 9pm.